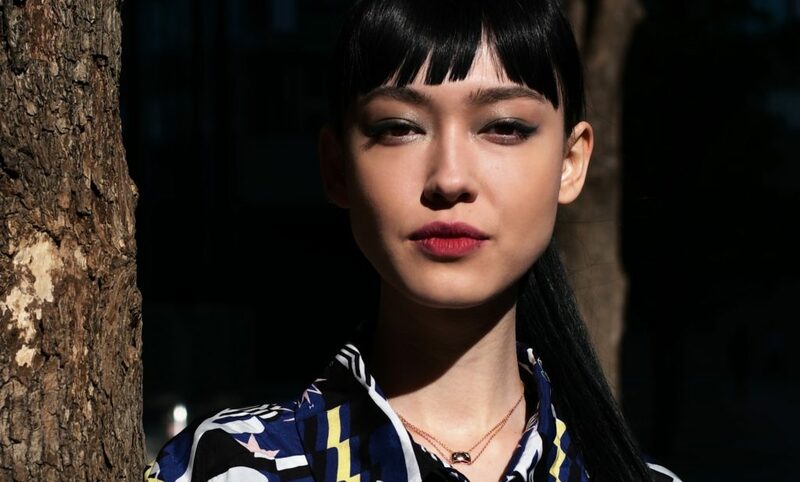 For the first time since joining the brand, CHANEL’s Global Creative Make up and Colour Designer, Lucia Pica draws inspiration from Asia to create the colours and textures seen in an entire makeup collection — Spring/Summer 2019. 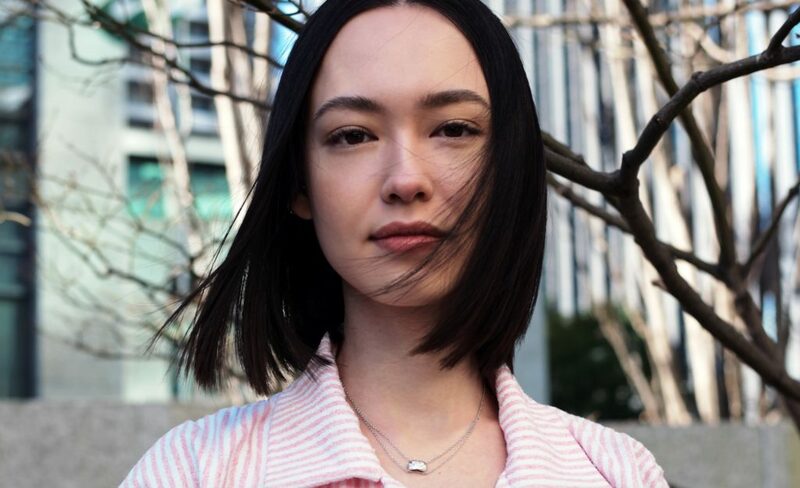 Yes, you can definitely expect shades that flatter Asian skin tones, and yes, this makeup range is going to be an instant hit in this part of the world. For all the swatches from the entire collection, click here. 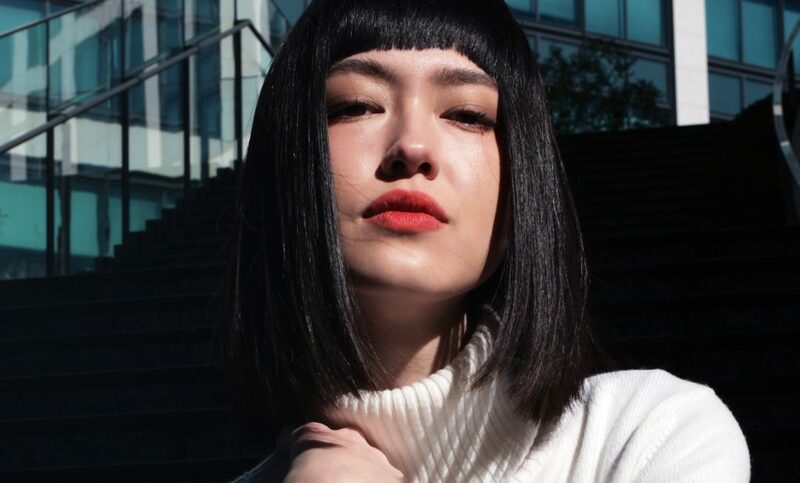 While discovering the collection in Tokyo, I had the privilege of working with celebrity makeup artist, Clarence Lee, to create three makeup looks on model, Fiona Fussi. My brief to him was simple: use the fancy eyeshadow palette with the 9 colours, and keep the final looks wearable. 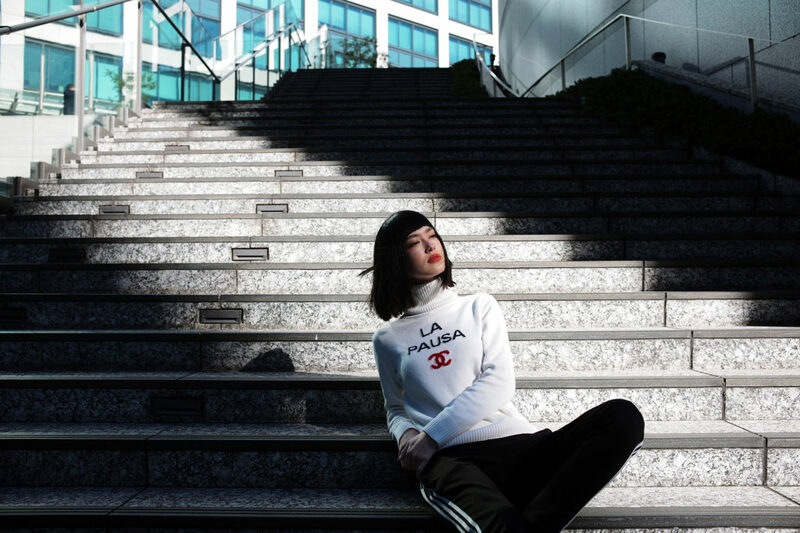 ABOVE: Clarence Lee AND Fiona Fussi IN TOKYO FOR THE LAUNCH OF CHANEL Spring/SUMMER 2019 MAKEUP. 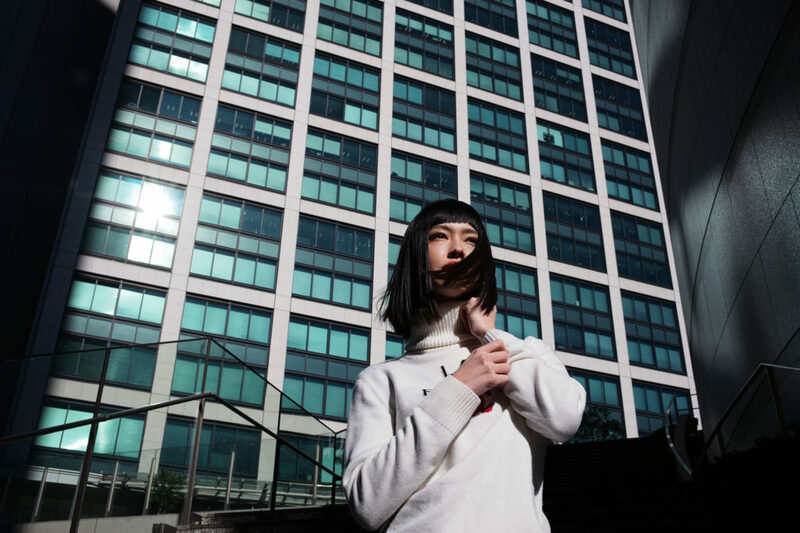 PHOTOGRAPHed BY Adele Chan, USING the LEICA M10-P with the SUMMILUX-M 35MM f/1.4 ASPH lens. makeup by Clarence Lee using chanel Spring/summer 2019 makeup COLOURS. Modelled by Fiona Fussi from basic models. shot on location in ginza, tokyo. TO “WAKE UP” THE EYES, CLARENCE used two shades from the eyeshadow palette: the satiny gold and matte beige, then added a slick of mascara to “open” the eyes. on the eyes: from the les 9 ombres eyeshadow palette — the MATTE BEIGe and SATINY GOLD. Lips and Cheeks: Rouge Allure Velvet Luminous Matte Lip Colour in 71 Nuance. Cheekbones / T-zone / Chin: Baume Essentiel Multi-Use Glow Stick in Transparent. Fiona is wearing: chanel stretch striped terry jacket, $3,920 / chanel coco crush necklace in 18k white gold and diamonds, $7,000. below: For the second look, Clarence focused on the lips and cheeks with one strong colour, enhancing fiona’s youthful looks. on the eyes: ombre premiere cream in 840 patine bronze (used as a base) / and from the les 9 ombres eyeshadow palette — the MATTE BEIGe, MATTE BRICK RED and the INTENSE MATTE DEEP BROWN. on cheeks and lips: Rouge Allure Liquid Powder in 962 Electric Blossom. fiona is wearing: chanel cashmere pullover, $3,670. below: For the final look, Clarence added intensity to The Eyes, using the brighter green and blue from the palette, then finishing the look with a deep violet lip. on the eyes: from the les 9 ombres eyeshadow palette — the SATINY PLATINUM, the SATINY GOLD GREEN, and the LUMINOUS MATTE DUSTY BLUE. on lips: ROUGE ALLURE LIQUID POWDER in 964 BITTERSWEET. Fiona is wearing: chanel printed crepe de chine top, $5,630 / chanel coco crush necklace in 18k beige gold, $4,100. The CHANEL Spring/Summer 2019 Makeup collection is available now at chanel beauty boutiques and counters. 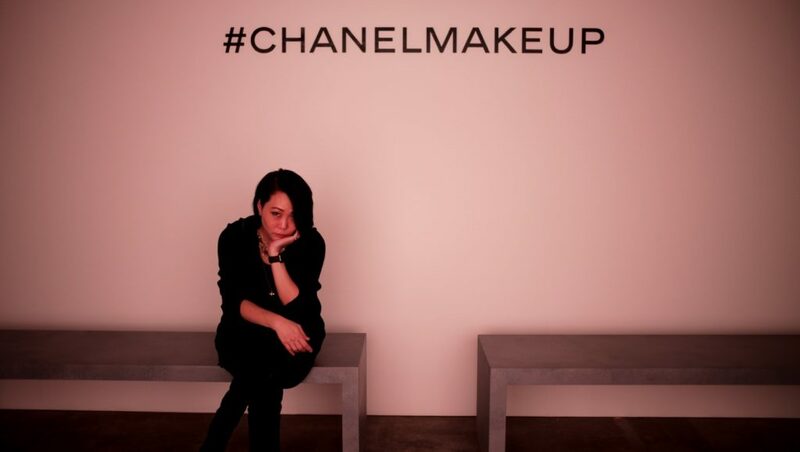 above: me at the launch of chanel Spring/summer 2019 makeup in tokyo.